is one of the main character of the story. This 11 years old boy is really naive and his best friend Shin, finds him rather stupid in many occasions. Beside being a real softie, Kyu is also constantly late in everything he undertakes. This last point is going to make him run most of the time. It will eventually serve him more than once when troubles arise. 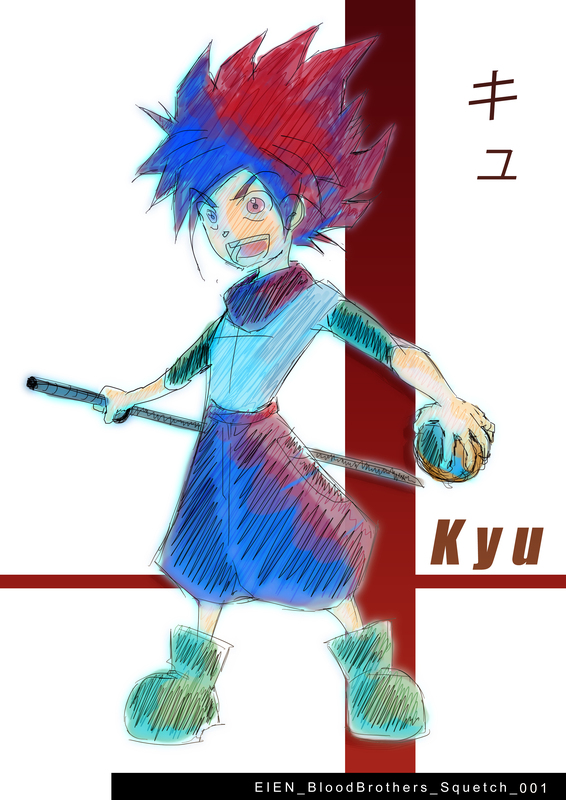 Kyu is also the inventor of K-Ball! (…more informations about this in a future post ^_-).